Canadian history and attitudes have shaped the First Peoples of Canada’s identity. They have caused most to view the First Nations through the lens of a stereotype. For example, when one thinks of the First Nations, a totem pole is quick to come to mind. However, many First Nations groups do not have such poles. In short, the historical attitudes of Canadians have lumped all First Nations into one mental group, creating ignorance of the amazing diversity that exists in the First Peoples of Canada’s cultures. It is a question that has long beed debated by philosophers and other learned men: Is it more effective for a leader to be feared, or loved? Effectiveness is a word that is bandied around often, but not always clearly defined. The best way to gauge a leader’s effectiveness would, logically, be two major things: how much he or she accomplishes during the period in which he or she rules, and, more importantly, what life is like for people under this rule. In this essay, these points will be considered and the obvious conclusion will be reached: Leading with love is more effective because it gains the people’s loyalty. 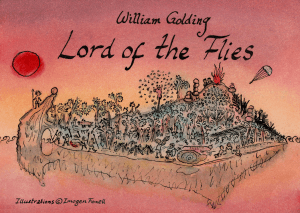 In addition to this, it is morally right, as shown by current world events, history, and William Golding’s classic allegorical novel, Lord of the Flies. To start with, leading through love gains for the leader an important resource—the loyalty of the people. This, obviously, leads to a lower likelihood of rebellion or revolt, which in turn means that the leader stays in power longer. With a longer ruling period, a leader can accomplish proportionally more than a leader who is quickly removed from power. For example, president Obama of America was re-elected after his first term was over and has remained a very popular person even now that he is no longer president. During his presidency, Obama eliminated terrorist Osama Bin Laden, removed the banks from the federal student loan program, and expanded hate crimes protections to include crimes based on, among other things, gender and disability. The latter especially was a major breakthrough in gender equality. In addition to the above, if there were to be a coup by some group of malcontents against a beloved leader, it would be far more likely to fail than if there were a feared leader in charge. People would naturally rally to support someone who they love and who they feel respects them. Mutual respect between a leader and the people is also important, as it means that people are more willing to follow the laws set out by that leader. Some may say that people will not rebel if they fear their leader, and that a feared leader has as much respect as, if not more respect than, a loved one.. This would be true for a time. But people would eventually get fed up. Oppression takes away from the people. When there is nothing left to be taken away, when they have nothing left to lose—then they have nothing left to fear. And so the once-feared leader is toppled. With regards to respect, the opposing argument is accurate. However, there is another point to be considered that further supports love over fear, separate from the argument of loyalty. Leadership is a complex concept, but the one of the most important facets of it is with regards to the people who are being led, specifically their needs and well-being. These are the responsibility of a leader, and if that responsibility is not followed, the leader is unfit and unworthy to hold such power. Therefore, leadership through fear is morally wrong. By its nature, it involves oppression of the people in some form. Oppression places one person or a small group of people at the top, and they benefit from this system. All of the other people are used to further the advantage of those at the top, at the expense of themselves. In most cases, these people lose comfort, money, and material possessions. In extreme cases, they can lose their lives as well. 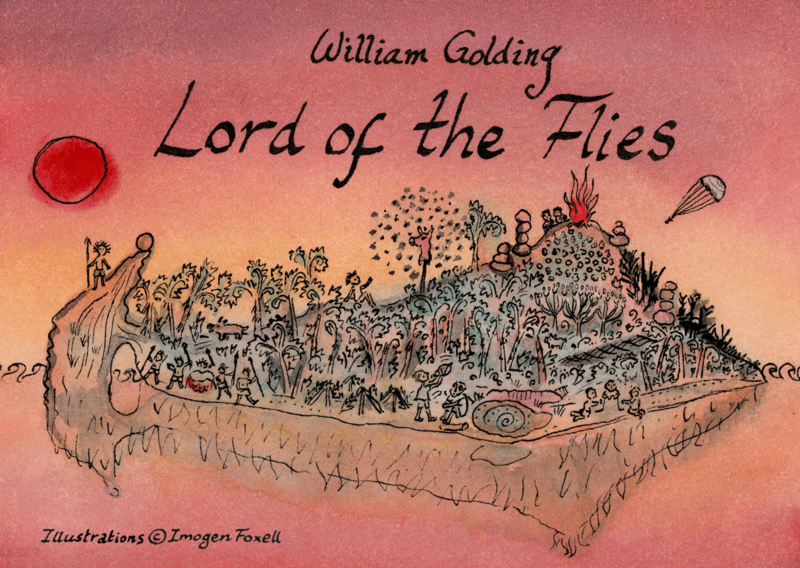 Lord of the Flies by William Golding exemplifies this excellently. In that story, the group of stranded boys have two leaders—Ralph, who leads through love, and Jack, who leads through fear. When Ralph is in power, there are the mishaps that can be expected of boys left unsupervised, seldom worse than a young child getting sand in his eye. When Jack takes over, there are two gruesome deaths in rapid succession—firstly of Simon, the saint-figure, who is murdered by the group when they are having a feast and a savage, chant-accompanied dance. He arrives in the dark, “crawling out of the forest…darkly, uncertainly” and is mistaken because of his awkward movements for the ‘beast’ that the children have feared since the beginning of the story (Golding, page 168). The fear of this ‘beast’ was fueled by Jack in order to keep control of the other boys, and leads directly to this, one of the darkest parts of the book. The other death for which Jack is responsible, albeit indirectly, is that of the most rational character in the story, ‘Piggy’. He was deliberately killed when one of Jack’s most loyal followers pushes a large stone down on top of him. These deaths bring the boys the last remaining distance to savagery, and at Jack’s urging, they engage in a hunt in order to kill Ralph, the previous leader and the only remaining person who challenges Jack’s authority. Just before they begin to hunt, one of the boys is described as “a savage whose image refused to blend with that ancient picture of a boy in shorts and shirt” (Golding, page 203). The boys started out as good people who were determined to thrive in their new environment, but Jack’s takeover, with its twofold fear of the ‘beast’ and of Jack himself, was directly responsible for the loss of innocence on the island. In the nonfictional world, similar leaders currently include Kim Jong-un, Supreme Leader of North Korea, and Pierre Nkurunziza, the president of Burundi. In North Korea, human rights such as freedom of speech are severely restricted, and freedom of press is denied. Nkurunziza’s leadership involves brutality against those who oppose his policies and practices, and the purging of the ethnic people of the area, the Tutsi. Rulers like these are not limited to the modern day. Familiar historical examples of this are the regimes of Hitler and Stalin. Best estimates propose that Joseph Stalin was directly responsible for 6 million deaths, in addition to indirect responsibility for 3 million more. Similarly, it is estimated that 17 million people died under Adolf Hitler’s rule. Leadership through love inherently omits such atrocities and losses of human life. In addition to what has already been mentioned, it must be pointed out that there are few greater causes of massive death than war. A loving leader, in taking into consideration the needs of his or her people, will strive to avoid war and the vast quantities of pain and suffering that go along with it, thereby evading a great source of suffering. In conclusion, the people’s loyalty and respect, and the peace and morality that a loving leader enjoys, make leadership through love the clearly correct choice in terms of effectiveness. The people’s loyalty means that the leader can have a longer, and therefore more productive, term. Respect for the leader translates into respect for his or her laws, meaning that they will be abided by. In addition to that, a good leader’s first and foremost priority should be the good of his or her people and love is the most important quality to assure that. This includes avoiding war, and maintaining basic rights and freedoms such as freeness of speech and press. A beloved leader will invariably place emphasis on these things. For all of the above reasons, leadership through love is a better and a more effective method than leadership through fear. In my next essay I would like to use real-world examples and evidence for all points.